Students, last year you rallied to show “Hate Has No Place Here”… now we’re reaffirming for all Wartburg students that “You Belong”! The Diversity & Inclusion Council is launching a campus-wide kickoff for the You Belong campaign Tuesday, Oct. 16, at 11:30 a.m. in the McCoy rooms of Saemann Student Center. 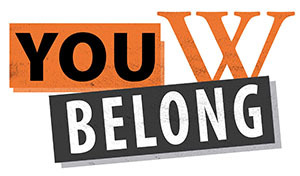 You Belong affirms for all students that they belong at Wartburg regardless of race, ethnicity, gender, gender identity, religion, place of origin, sexual orientation, or ability. Kickoff events will include speakers, giveaways, and treats. New signage will be available to replace the “Hate Has No Place” messaging around campus, and T-shirts with the You Belong logo will be available in The Wartburg Store. The campaign will also be promoted in the residence halls, at sporting events, and on social media. Please join us at the inspiring and informative kickoff event Tuesday! Hurry and purchase your "Together As Knights" shirts before they're sold out! The Homecoming Committee will be selling short-sleeve and long-sleeve shirts Monday-Thursday this week in front of The Wartburg Store in Saemann Student Center. Shirts are also available during business hours Monday through Friday in the Alumni Office, LH 136. Make sure you grab something to eat at the Renaissance Faire, 10:30 a.m.-2 p.m. Saturday, Oct. 20, on the Campus Mall. Check out some of our new food vendors, crafts, and entertainment sponsored by Wartburg student organizations, local nonprofits, and vendors. Oktoberfest will be Saturday, Oct. 20, 4-6:30 p.m., on the Campus Lawn. For students with meal plans, you can use a meal at Oktoberfest. Students without a meal plan, plus family, friends, and faculty, make sure to pre-register by Wednesday, Oct. 17. Pre-registered tickets are discounted and will also allow you to go through the fast-pass line at the event. 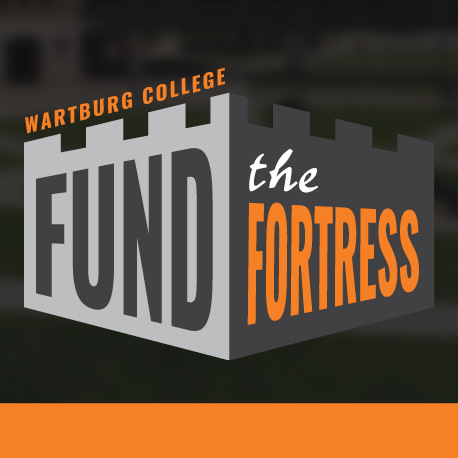 Information concerning pricing and pre-registration can be found at www.wartburg.edu/homecoming. The Bremer County Auditor’s Office is holding satellite voting on campus today, Oct. 15. Voting will be in McCaskey Lyceum from 10 a.m. to 4 p.m., and voter registration forms will be available at the voting station. Per election law, no organizations or individuals will be allowed to solicit votes within a 300-foot radius of Saemann Student Center. To see more details about voter eligibility and how you can vote absentee, please click here. You also may stop by the lyceum and direct questions to the Bremer County Auditor staff. Reception at Homecoming – Friday, Oct. 19, 5-6 p.m., Hagemann Castle Room. Gather for a reception with a brief program at 5:30 p.m. and light hors d'oeuvers. View the complete event details and register through the main Homecoming and Family Weekend registration. Make a gift to the Friendship Fund — The Friendship Fund intends to help Wartburg students when they are at their most vulnerable in circumstances of a family emergency, medical crises, emergency travel, and other critical needs. Gifts in honor of Krystal and a special note for her can be made here. The campaign has been kicked off with a $50,000 gift from Dr. Del Doherty '06! As an international student, he received $278 from the Friendship Fund and attributes that gift to keeping him in college. We hope you consider making a gift in honor of Krystal's service to Wartburg. If you would like to learn more about the college’s budget, please plan to attend the Student Senate meeting on Thursday, Nov. 11, at 11:30 a.m. in WBC Room 214 (Buckmaster). Rich Seggerman, vice president for finance and administration, will provide an overview of the college’s budget and respond to questions. Come out to Lynes Field on Saturday, Oct. 20, during Homecoming & Family Weekend for the softball team's second annual Home Run Derby! The cost is $5 for five swings and the top three place-winners will get a prize from local Waverly businesses. The derby will start at noon and go until 1 p.m., just in time to head over to the football game. WTF’s sale will be Friday, Oct. 19, in the Canfield Strength & Conditioning Room from 9:30 a.m. to 3 p.m. All past or used items must go, cash or check only. There will be miscellaneous T-shirts and other clothing, sweatshirts, sweatpants and hats. Come get your Wartburg Track and Field clothing, first-come, first-served. We will also be at the Renaissance Faire on Saturday. Wartburg College Service Trips is also opening up some executive team applications, including student director, fundraising coordinator, and marketing coordinator, for the upcoming 2019 winter semester. Applications will close Friday, Nov. 2. Use this link to apply. If you have any questions please contact Madison Bloker.